Walt Disney is a leading name globally in the world of media and entertainment. Founded by Walt Disney and Brother Roy, it has come a long way since its humble beginnings as a cartoon studio in the 1920s. It has been a long journey for the brand since its initial Alice Comedies to the today’s preeminent position in the entertainment industry across the globe. Disney’s products and services sell around the world now. It has operations across more than 40 countries and creates experiences that are cherished by people all across the globe. Walt Disney himself was a pioneer and an innovator who with his staff received more than 950 honors and citations from around the world including 48 academy Awards and 7 Emmy’s during the founder’s life time. Disney’s business is divided into four major segments – Media Networks, Parks and Resorts, Studio Entertainment, and Consumer Products & Interactive Media. Together with its subsidiaries, Walt Disney is a diversified worldwide entertainment company. Revenue of the company in 2017 was around 55 Billion dollars and Net income around 9 Billions. Disney is also planning to launch new services including two DTC streaming services for faster growth. Today it’s a household name made famous globally by the Disney cartoons and the unique tourist experiences it has created. Disney’s Business is divided into four major segments including Media Networks, Parks and Resorts, Studio Entertainment, and Consumer Products & Interactive Media. The media networks segment of Disney includes a vast array of broadcast, cable, radio, publishing and digital businesses across two main divisions which are the Disney/ABC Television Group and ESPN Inc. The second business segment of Disney brings its characters, stories and franchises to life through Parks and Resorts, toys, apps, apparel, books and stores. The studio entertainment segment brings quality movies, music and stage plays to consumers all across the globe. Disney has also maintained its international presence through its Direct to Consumer and International business segment. This segment aligns the company’s technology, content and distribution platforms of Disney together to offer personalized experiences to the Disney customers. Of all the four business segments, Media Networks account for the largest part of Disney’s revenue followed by parks and resorts. The Media Networks segment of Disney accounts for the largest part of its revenue. This segment of Walt Disney includes cable and broadcast television networks, television production and distribution operations, domestic television stations and radio networks and stations. Apart from it, the company has also invested in entities that operate programming, distribution and content management services like television networks. Affiliate fees, ad sales and program sales are the primary source of revenue for the media networks. Affiliate fees are the fees charged from MPVDs and television stations. Ad sales are the fees received from selling ad time to advertisers in programs and the program sales are the fees from the television networks and distributors. The main cable networks of Walt Disney are branded ESPN, Disney and Freeform. These networks either make their own programs or acquire rights from the other networks to air their programs. For the cable networks, majority of revenues comes from affiliate fees and some of them from ad sales. Walt Disney owns 80% stakes in ESPN and Hearst Corporation owns 20% stakes. It is a multimedia sports entertainment company. It operates 8 domestic television sports channels ESPN and ESPN2, ESPNU, ESPNEWS, SEC Network, ESPN Classic, Longhorn Network and ESPN Deportes. ESPN also holds rights to several professional and college sports programs that include the National Basketball Association (NBA), the National Football League (NFL), Major League Baseball (MLB), US Open Tennis, various soccer rights, the Wimbledon Championships and the Masters golf tournament. Apart from these ESPN operates ESPN.com ESPN app, ESPN magazine, ESPN events management and ESPN radio. Outside the US, ESPN owns 19 television channels in four languages that are aired in 61 countries. Disney operates more than 100 branded television channels. These channels are broadcasted in 34 languages across 162 countries and territories. The branded channels of Walt Disney include Disney Channel, Disney Junior, Disney XD, Disney Cinemagic, Disney Cinema, Hungama and DLife. The company makes its content available through video-on-demand services and websites including disneychannel.com, DisneyXD.com and DIsneyJunior.com. Apart from these Disney operates Disney operates Disney radio which is targeted at kids, tweens and families. Disney’s Freeform is targeted at the viewers in the age group 14 to 34. It produces original live action and acquires programmes from third parties. The broadcasting business of Disney includes a domestic broadcast network, television production and distribution operations, and eight owned domestic television stations. Disney operates the ABC television network. The ABC network has agreements with 24 local television stations as of Sep, 2017. It reaches almost every television household in USA through these stations. It makes its own programs, acquires rights from third parties as well company owned or affiliated entities. Most of its revenue comes from ad sales and some from affiliate fees from the television stations. ABC offers selected clips and episodes through the ABC app and ABC.com. ABCNews.com also offers worldwide news coverage online as well as on demand news broadcasts from ABC news. The company produces most of its television programs under the Banner of ABC studios in collaboration with independent writers, producers and creative teams. The main focus of these productions are one hour dramas and half hour comedies meant mainly for prime time broadcasts. Apart from these the company is producing four drama series for Netflix and one drama series for Hulu. The company’s production rights are distributed worldwide to television broadcasters, to SVOD services, and in-home entertainment formats. Walt Disney owns eight television stations. Six of these stations are located in the top ten television household markets in US including California, NewYork, Pennsylvania, North Carolina and Illinois. Most of the revenue of these television stations comes from ad sales and some from affiliate fees from MVPDs. These stations are affiliated with ABS and reach 21% of the nation’s television households collectively. Each of the eight stations, Walt Disney owns broadcasts three digital channels. The first includes local, ABC and syndicate programming, second LiveWell Network and third the LAFF network. A+E is a joint venture by Walt Disney and Hearst Corporation in which each has equal stakes of 50%. A+E operates several cable channels which include A&E, History, Lifetime, lifetime movie network, FYI and Lifetime Real Women. Programs by A+E are available in 200 countries and territories. A+E also has 18% stakes in Vice Group Holding which is the operator of Viceland channel. Vice Group and A+E together own the Viceland and each has 50% stakes in the channel. The main target of the Viceland channel is the millenial generation. It offers lifestyle documentaries. Apart from that Walt Disney also has 10% direct ownership in Vice. ESPN has 30% equity interest in CTV Specialty Television, Inc that owns several TV channels in Canada including The Sports Networks (TSN) 1-5, Le Réseau des Sports (RDS), RDS2, RDS Info, ESPN Classic Canada, Discovery Canada and Animal Planet Canada. Twenty-First Century Fox, Inc. and Comcast Corporation and Walt Disney each have 30% ownership in HULU whereas Time Warner Inc. holds the remaining interest. Hulu distributes content digitally through the internet including the content it produces as well as the acquired television and film entertainment content. Walt Disney too licenses TV and film programming to Hulu. Apart from a 20% ownership interest, the company also has 49% economic interest in Seven TV. Seven TV operates a digital channel in Russia. Apart from other industries, media and entertainment industry is also facing very high level of regulation. The Federal Communications Commission regulates the Television and Radio broadcasting in USA. There are several laws and regulations affecting television and radio broadcasting apart from the Communications Act of 1934. The TV and media industry is facing higher regulation which also means that the chances of being fined in case of violations are higher. The fines are also larger now. Apart from financial costs, the other kinds of actions include limited renewals of licenses and, in egregious cases, denial of license renewal or revocation of a license. Licensing of television and radio stations. Walt Disney’s TV and radio stations have to be licensed by the FCC. These licenses are generally for upto eight years after which they can be renewed so as to enjoy continuous operations. Under certain circumstances the FCC can decline to approve the renewal or transfer of a license. The FCC imposes certain limits regarding the ownership of television and radio stations. FFC imposes limits on the number of television stations and radio stations, Disney can own or the combined number of television and radio stations it can own as well as the aggregate size of audience that Disney can reach through its own television and radio stations in a single market. Disney does not have more than one television stations in any of the markets. FCC has the ability to restrict it from owning more than one stations in a single market. As per Federal Statutes Disney can reach only 39% of the total national audience maximum. Disney’s eight stations reach 21% of the national audience based upon FCC’s recent decisions regarding how to comply with this limit. FCC can also impose limits on acquisition of new TV or radio stations in the markets where Disney already owns TV or radio stations. As per FCC regulations, any of the four major broadcast television networks — ABC, CBS, Fox and NBC cannot be under common ownership or control. FCC regulates broadcasting and has applied a ban on certain things including indecent programming. Moreover, it regulates political advertising as well as imposes commercial child limits during child programing. There are major penalties for indecent programs. Federal regulations and FCC have imposed limits on the volume of commercials that can shown during the programs meant for children 12 years or less. Regarding the cable systems that operate within a television station’s Designated Market Area, As per the FCC rules each three years, the television station elect either must carry status or retransmission consent. Some aspects of negotiations related to cable and satellite retransmission consent are also regulated by the FCC and transmissions act. The Parks and resorts owned and operated by the company include Walt Disney World Resort in Florida; the Disneyland Resort in California; Disneyland Paris; Aulani, a Disney Resort & Spa in Hawaii; the Disney Vacation Club; the Disney Cruise Line; and Adventures by Disney. Apart from it the company has effective ownership interests of 47% in Hong Kong Disneyland Resort and 43% in Shanghai Disney Resort. In case of the Tokyo DIsney Resort, the company has licensed its intellectual property to a third party for operating the resort. The parks and resorts generate revenue mainly from admission fees in theme parks, sales of food, beverage and merchandise, charges for room nights at hotels, sales of cruise and other vacation packages and sales, as well as rentals of vacation club properties. Apart from it the company also generates revenue from sponsorships and co-branding opportunities, real estate rent and sales, and royalties it receives from the Tokyo Disney Resort. Most significant costs involved in the operation of these parks and resorts include labor, infrastructure costs, depreciation, costs of merchandise, food and beverage sold, marketing and sales expense and cost of vacation club units. The infrastructure costs include the expenses on Information Systems, repairs and maintenance, utilities and fuel, property taxes, insurance and transportation. Located 22 miles southwest of Orlando, Florida, the Walt Disney World Resort is spread over approximately 25000 acres of land. Apart from theme parks, the resort also includes hotels; vacation club properties; a retail, dining and entertainment complex (Disney Springs); a sports complex; conference centers; campgrounds; golf courses; water parks and several more recreational facilities which are designed mainly to attract visitors for long vacations. Disney promotes its resort through advertisements as well as other forms of promotional activities. It advertises and promotes the resort locally, nationally as well as internationally. Corporations operate or sponsor restaurants and other recreational attractions inside the theme parks through multiyear agreements. Theme parks inside theresorts include Magic Kingdom, Epcot, Disney’s Hollywood Studios and Disney’s Animal Kingdom. Magic Kingdom: Magic kingdom includes Adventureland, Fantasyland, Frontierland, Liberty Square, Main Street USA and Tomorrowland. Each themed area offers a unique guest experience and several attractions like live Disney character interactions, restaurants, refreshment areas and merchandise shops. Apart from these there rae night time fireworks as well as daily parades at the magic kingdom. Epcot has two themed areas mainly Future World and World Showcase. The focus of the first is historical developments as well as the challenges facing the world today. The focus of the second is culture traditions as well as the accomplishments of people around the world. The Hollywood studios have seven themed areas including Animation Courtyard, Commissary Lane, Echo Lake, Hollywood Boulevard, Muppets Courtyard, Pixar Place and Sunset Boulevard featuring behind the scene glimpses of Hollywood style action. The company also introduced Toy Story land in the Hollywood studios in 2018 and is going to open one based on the Star Wars theme. The animal kingdom has seven themed areas including Africa, Asia, DinoLand USA, Discovery Island, Oasis, Pandora and at the centre a 145 foot tall tree of Life centrepiece. The park has 300 species of mammals, birds, reptiles and amphibians and 3,000 varieties of vegetation. In 2017, Disney operated 18 resort hotels and vacation club facilities with 22000 rooms and 3,200 vacation club units. The Fort Wilderness camping and recreational area, offers around 800 camping sites. Apart from these Disney also has more hotels and lodging facilities in the area. ESPN Wide World of Sports Complex is a facility for athletic events and competition. The world resort also offers other amenities and facilities including championship golf courses, miniature golf courses, full-service spas, tennis, sailing, water skiing, swimming, horseback riding and a number of other sports and leisure time activities. The Disneyland resort, Anaheim, California includes two theme parks that are Disneyland and Disneyland California Adventure. Apart from these the Disneyland Resort, California has three resort hotels and a retail, dining and entertainment complex called Downtown Disney. Other corporations also operate and sponsor several of the attractions and restaurants in the Disneyland resort, California. The company markets the California resort through several advertising and promotional activities including local, national and international advertising. Disneyland has eight themed areas including Adventureland, Critter Country, Fantasyland, Frontierland, Main Street USA, Mickey’s Toontown, New Orleans Square and Tomorrowland which feature themed attractions as well as restaurants, merchandise shops and refreshment stands. Construction is going on for a new Starwars themed area in the resort scheduled for opening in 2019. Lying adjacent to Disneyland resort, the Disneyland adventure has seven themed areas including Buena Vista Street, Cars Land, Grizzly Peak, Hollywood Land, Pacific Wharf, Paradise Pier and “a bug’s land”. Apart from shows, restaurants, refreshment stands, Disneyland adventure also offers nighttime entertainment events. At the Disneyland Resort, three Company-owned and operated hotels and vacation club facilities with approximately 2,400 rooms, 50 vacation club units and 180,000 square feet of conference meeting space. Disney is also planning to build a next hotel with around 700 rooms, scheduled to open in 2021. Downtown Disney is located adjacent to both Disneyland and Disneyland California Adventure. It is a retail, dining and entertainment complex with around 30 venues. Third parties operate most of its facilities in exchange of a rent. Aulani, a Disney Resort & Spa, is a Disney operated family resort on a 21-acre oceanfront property on Oahu, Hawaii and features 351 hotel rooms, an 18,000-square-foot spa and 12,000 square feet of conference meeting space. It also has 481 Disney Vacation Club units. Disneyland Paris is located around 20 miles east of Paris in Marne-la-Vallée. PAart from two theme parks, it features seven themed resort hotels; two convention centers; a shopping, dining and entertainment complex (Disney Village); and a 27-hole golf facility. The two theme parks are Disneyland Park and Walt Disney Studios park. The Disneyland Park has five themed areas including Adventureland, Discoveryland, Fantasyland, Frontierland and Main Street USA which offer themed attractions, shows, restaurants, merchandise shops and refreshment stands. Walt Disney takes visitors into the world of cinema, animation and television. It has four themed areas: Backlot, Front Lot, Production Courtyard and Toon Studio. Disneyland Paris also operates seven resort hotels, that have around 5,800 rooms and 210,000 square feet of conference meeting space. There are other nine onsite hotels with around 2700 rooms which are owned and operated mainly by third parties. The Disneyland village located between the theme parks and hotels is a 500,000-square-foot retail, dining and entertainment complex. Several facilities in the Disneyland village are operated by the third parties which pay rent to Disneyland Paris. The HongKong Disneyland Resort is located on the Lantau island in nearly 300 acres of land. Walt Disney has a 43% interest in the resort and a separate HongKong subsidiary of the company manages the resort. Disney receives royalty and management fees based on the operating performance of the resort. Apart from a theme park, the resort also has three themed resort hotels with 1,750 rooms. The Hong Kong resort has seven themed areas including Adventureland, Fantasyland, Grizzly Gulch, Main Street USA, Mystic Point, Tomorrowland and Toy Story Land which feature themed attractions as well as shows, restaurants, merchandise shops and refereshment stands. Walt Disney owns 43% interest in the Shanghai Disney resort, located in Pudong of Shanghai in around 1000 acres. Apart from a theme park, the resort has two themed hotels with 1220 rooms as well as a retail, dining and entertainment complex and also an outdoor recreation area. A management company in which Walt Disney has 70% interest manages the resort and Disney receives royalty fees based on the resort’s operating performance. There are six themed areas in the Shanghai Disneyland which feature themed attractions as well as shows, restaurants, merchandise shops and also refreshment stands. Disneyland is an outdoor dining, shopping and entertainment complex located adjacent to the Shanghai Disneyland resort. Third parties operate most of the facilities in the Disneytown and pay rents. The Tokyo Disney Resort located six miles East of downtown Tokyo has two theme parks, four Disney-branded hotels; six independently operated hotels; a retail, dining and entertainment complex (Ikspiari); and Bon Voyage, a Disney-themed merchandise location. A third party operates the resort and Disney receives royalties based upon the revenue generated. The seven themed areas in Tokyo Disney resort are Adventureland, Critter Country, Fantasyland, Tomorrowland, Toontown, Westernland and World Bazaar. There is also a Tokyo Disney Sea adjacent to the Tokyo Disneyland with seven ports of call including American Waterfront, Arabian Coast, Lost River Delta, Mediterranean Harbor, Mermaid Lagoon, Mysterious Island and Port Discovery. There are four Disney-branded hotels with a total of more than 2,400 rooms and a monorail, linking the theme parks and resort hotels with Ikspiari in the resort. The Disney vacation club or DVC offers ownership interest in 14 resort facilities located at the Walt Disney World Resort; Disneyland Resort; Aulani; Vero Beach, Florida; and Hilton Head Island, South Carolina that comprise around 4000 vacation club units. Disney Cruise Line is a four-ship vacation cruise line, operating out of ports in North America and Europe. Its Disney Magic and Disney Wonder are 875 stateroom ships whereas Disney Dream and Disney Fantasy are 1250 stateroom ships. The company is also planning to add three more ships. Adventures by Disney offers tour packages to non-Disney sites around the globe. It offered forty such packages in 2017. The parks and resorts receive master planning, real estate development, attraction, entertainment and show design, engineering support, production support, project management and research and development from Walt Disney imagineering. This segment produces and acquires live-action and animated motion pictures, direct-to-video content, musical recordings and live stage plays. The studio entertainment segment businesses generate revenue from several sources including distribution of films in the theatrical, home entertainment and television and SVOD markets, selling tickets of Stage plays, music distribution and licensing of Company intellectual property for use in live entertainment productions. It also distributes films under the Walt Disney Pictures, Pixar, Marvel, Lucasfilm and Touchstone banners. Apart from that it distributes live-action films made by Dreamworks studios that were released theatrically from 2010 through 2016. Disney acquired Marvel in 2010 and Lucasfilm in 2013. The company makes and distributes both live action and full-length animated films. In the local markets, Disney distributes and markets its products directly. In the major international markets, it distributes them directly whereas in the other markets, it distributes the movies through joint ventures or independent companies. The company spends major sums on marketing and advertising of movies. Disney distributes its home entertainment releases directly in the domestic markets and in the international markets both directly and through independent distributors under each of its motion picture banners. Domestic and international home entertainment distribution in both physical and electronic format begins generally three to six months after the theatrical release. It sells DVDs and BluRays through retailers like Walmart and Target and the electronic formats through e-retailers like Apple and Amazon. In the Television market, Disney licenses its films to cable and broadcast networks, television stations and other video service providers who deliver them to consumers through television and internet channels. Apart from licensing titles to VOD service providers, the copany offers its films through Pay TV and Free TV windows. In US, there are two to three Pay television and free television windows. The process of licensing in the international markets is similar to the one followed in domestic markets, except that there can be variations in sequence and length of Windows based on the local practices and market conditions. The Disney Music Group (DMG) commissions fresh music for the Company’s motion pictures and television programs. It develops, produces, markets and distributes recorded music globally through license agreements or directly. The theatrical group develops, produces and licenses live entertainment events on Broadway and around the globe. Licensing characters and content to the third parties – Main characters and content include Mickey and Minnie, Star Wars, Frozen, Disney Princess, Disney Channel characters, Cars, Spider-Man, Avengers, Winnie the Pooh, Finding Dory/Finding Nemo and Disney Classics. Sales of merchandise through retail, wholesale and online channels. Disney owns 221 stores in North America, 87 stores in Europe, 55 stores in Japan and two stores in China located mainly in shopping malls and major retail complexes. Sales of games through app distributors and online channels. Sales of books, magazines and comic books to wholesalers. Sales of adverts in online video content. Disney English in China – English tuitions for Chinese children across six cities and 27 learning centers in China. In 2017, Disney earned around 85% of its revenue form products and around 15% from services. Its revenue from services reached 46,843 million dollars and 8,294 million dollars form products. Total revenue f the company was 55,137 Million dollars which was around 1% less than the previous year. The largest source of revenue for the company was the media networks segment followed by the Parks and resorts segment. In 2017, the company’s revenue from the media networks saw a small decline of 1% from the previous year falling to 23,510 millions from 23,689 million dollars, the previous year. Revenue from the Studio entertainment segment was around 8.4 Billion dollars, a decline of around 11% over the previous year and that from the consumer products and interactive media segment around 4.8 Billion dollars, a decline of 13% over the previous year. In 2017, the media network segment saw a growth in revenue from the affiliate fees whereas there was a decline in income from advertising as well as TV/SVOD distribution and other. Revenue from affiliate fees grew to 12.7 Billions in 2017 from 12.3 Billions previous year (rise of 3%). Advertising revenues declined by 4% from 8,509 million dollars to 8,129 million dollars. In the same period, the revenue from TV/SVOD distribution and other declined by 7% from 2,921million dollars to 2,722 million dollars. revenue of Cable networks and broadcasting also saw a decline of 1% each. Economic Fluctuations: Economic fluctuations in US or other key regions of the world can reduce the demand for products/services of Disney and can affect its revenue and earnings negatively. In the past too, economic declines have had a negative impact the demand for and spending at its parks and resorts as well its earnings from advertisement and other sources. Changing consumer preferences: Changing consumer references can also have a substantial impact on the demand of Disney products and affect its earnings. Disney’s profitability depends on its ability to cater to the fast-changing consumer demands and preferences. Technological advancement: Technological change are happening fast and the release of new technologies also affects the demand of Disney products. Disney’s profitability depends on its ability to adopt new technologies and adapt to the shifting patterns of consumer demand. Intellectual Property Rights: Disney’s success also depends on its ability on the maintenance of its intellectual property rights. Unauthorized use of Disney’s intellectual rights can lead to high expenditure on protecting its intellectual property and affect its revenues negatively. Moreover, technological advancement has made digital copying and distribution of its entertainment products easier leading to substantial effect on its revenue. Competitive Pressures: Disney is facing strong competition in all the areas of its operations including tourism and entertainment. Higher competitive pressure leads to higher cost of operations as well as higher investment in marketing and R&D. Competitive pressure can increase further due to technological advancements and changes in market dynamics limiting chances of growth and profitability. 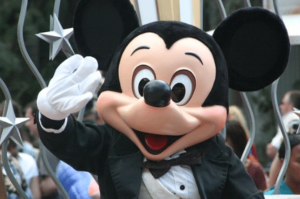 Regulatory changes: Disney’s businesses are highly regulated. Apart from the regulation of its broadcast and television networks, its other businesses are also regulated by a complex web of laws domestically and internationally. Some of the key regulations that affect Disney include FCC’s regulation of its TV and radio stations; privacy and data protection laws including federal, state and foreign; safety of consumer products & theme park operations; environmental regulations; trade restrictions internationally as well as wage and tax laws and currency controls both nationally and internationally. Further changes could lead to increase in spending on compliance for Disney. Seasonality: The seasonal nature of most of its businesses is also a major risk and can have a negative impact on its earnings. Advertising revenues of Disney are generally higher during the fall and lower during summer. Parks and resorts see higher occupancy and attendance during the vacations in summer months or early-winter and spring-holiday periods. Studio entertainment revenues are also affected by the timing of releases. In the Consumer Products & Interactive Media segments too, consumer purchasing behavior too varies by season.